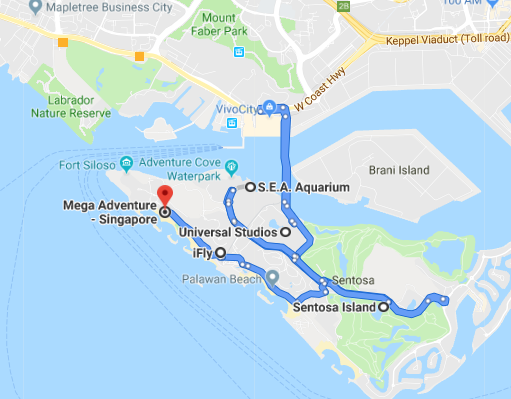 Post a good first day of exploring a fair deal of Singapore, and obtaining the mandatory rest for the night, get set for an adventure filled Day 2. 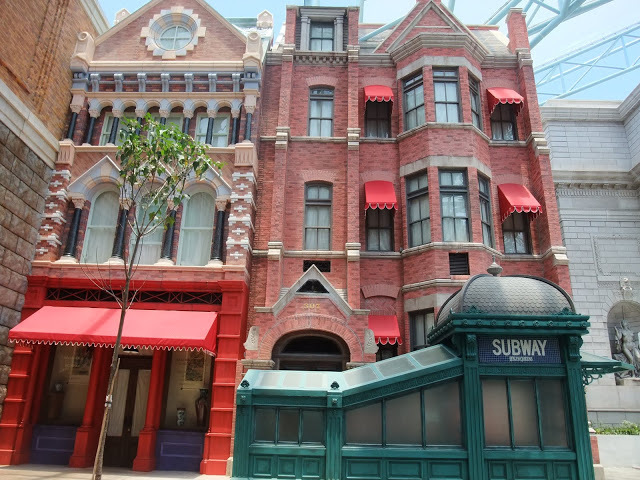 After a wholesome breakfast at the hotel, head to Universal Studios Singapore for a joyful morning filled with fun rides, shows, and beautiful attractions. 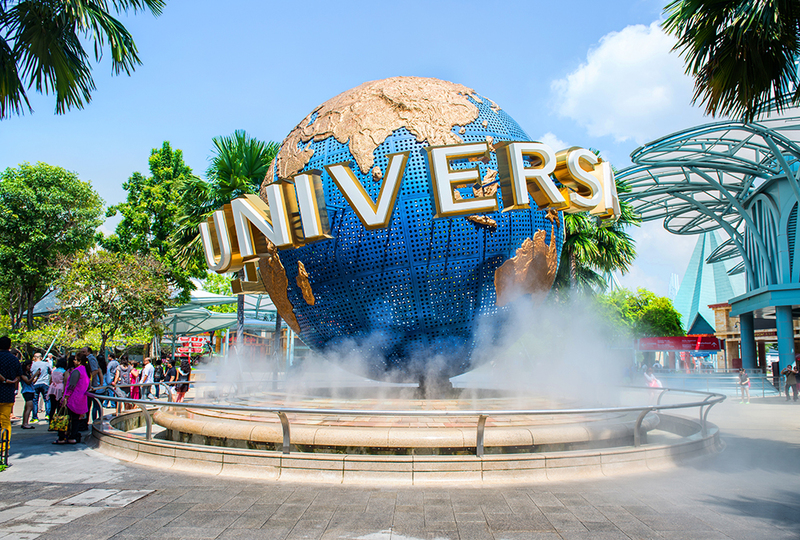 Universal Studios Singapore (USS) – It features 28 rides, including a pair of dueling coasters that brush past one another in several near misses creating an adrenaline pumping time beyond your imagination. Exciting loops, sudden turns, breath-taking drops and thrilling near-collisions will make you scream your heart out. Madagascar – At Madagascar, with the four heroes, Alex, Marty, Melman and Gloria, take that unforgettable river boat ride. 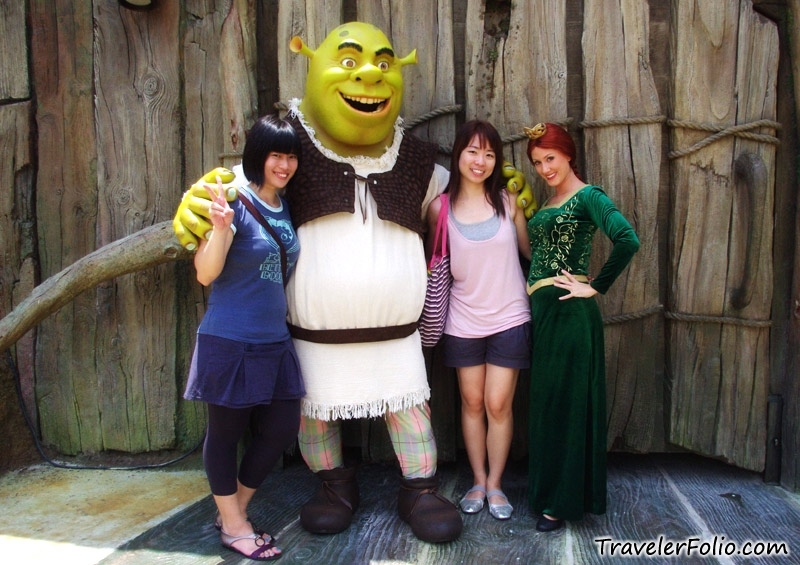 Far Far Away – Join Princess Fiona & Shrek in a fairy tale adventure and hear and feel the action right from your seat. 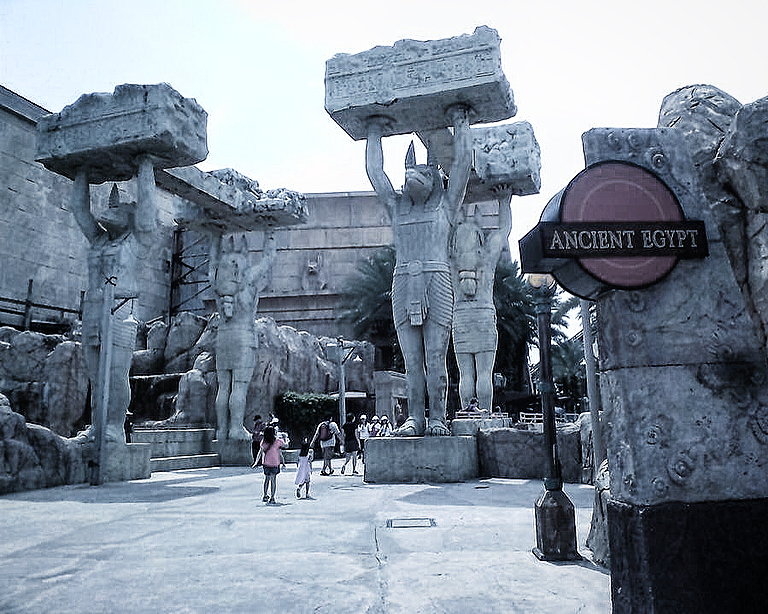 Ancient Egypt – Ancient pyramids and obelisks stand fast against the sands of time as you are transported to Egypt in the 1930’s. The Lost world – Experience the ‘real’ Jurassic Park, with dinosaurs brought back to co-exist with man for the first time at the Lost world zone. Sci-Fi city – Here, find yourself in a futuristic metropolis filled with the most modern convenience. 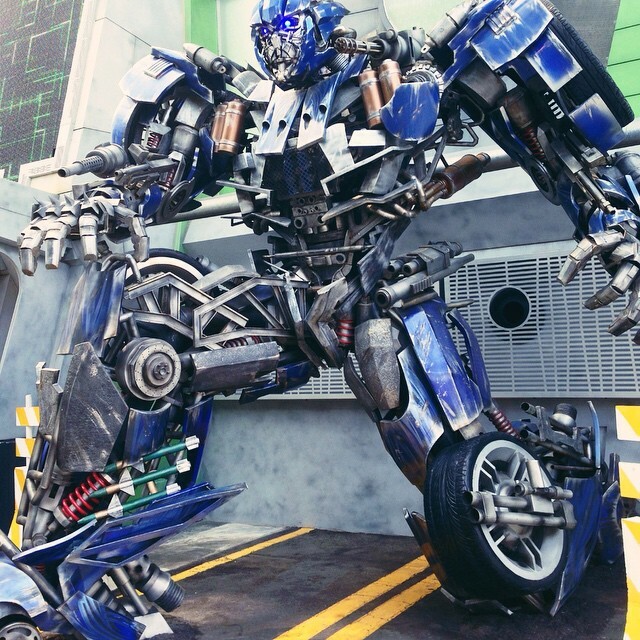 In the world of transformers, get ready to experience a hyper-realistic 3D thrill ride. New York – Step back in time to the less frantic but still classic New York of the 1940’s complete with cobblestone streets, faux gas lamps and elegant brownstones at New York. 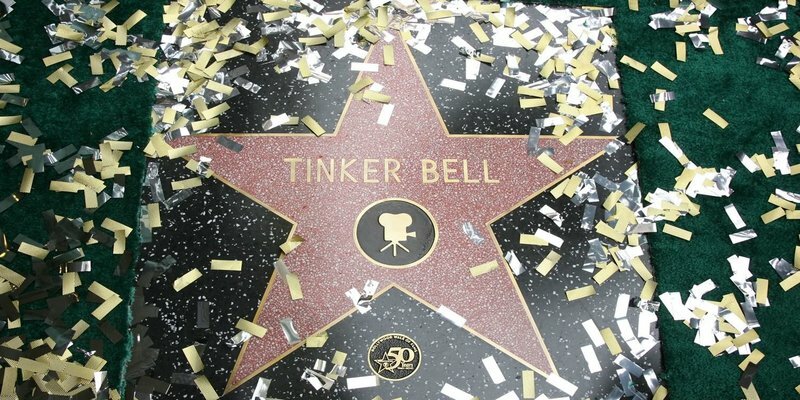 Hollywood walk of fame – Finally wrap the ribbon with Hollywood as you enter a Broadway-style theatre with palm trees and the famous Hollywood Walk of Fame making you feel like you are actually on a Hollywood Boulevard. Also, catch some exciting live performances and indulge in some breath-taking fireworks display. 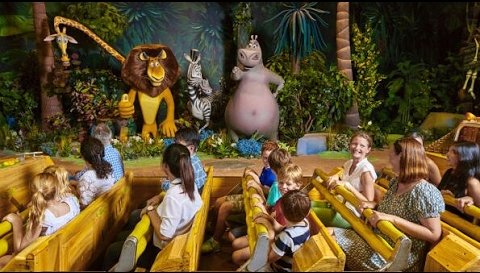 Meet your favourite characters, and get up close and personal with them to snap a photo or two. Finally, stop by a souvenir shop for some exclusive merchandise or fun memorabilia. 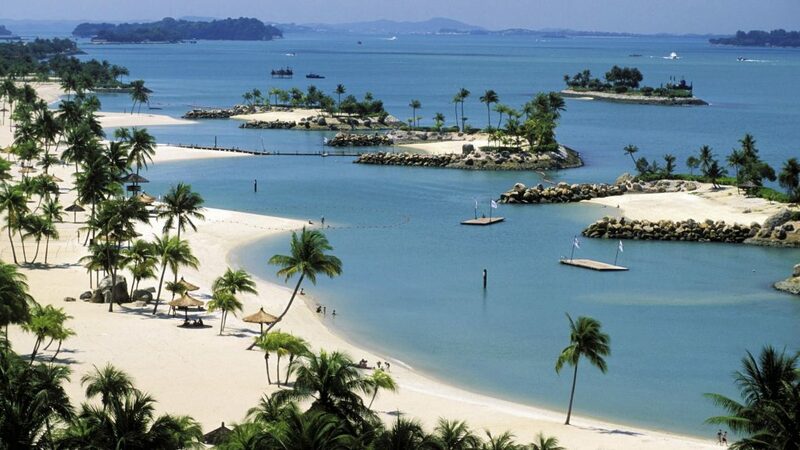 Sentosa Island – After all the action at the USS, head to Sentosa. From bustling activities to tranquil stretches of sand, each of Sentosa’s three beaches—named Siloso, Palawan and Tanjong—hold their own unique charms and are sure to leave you spellbound. Unwind at one of the beach’s islets and get your ideal tranquil getaway. 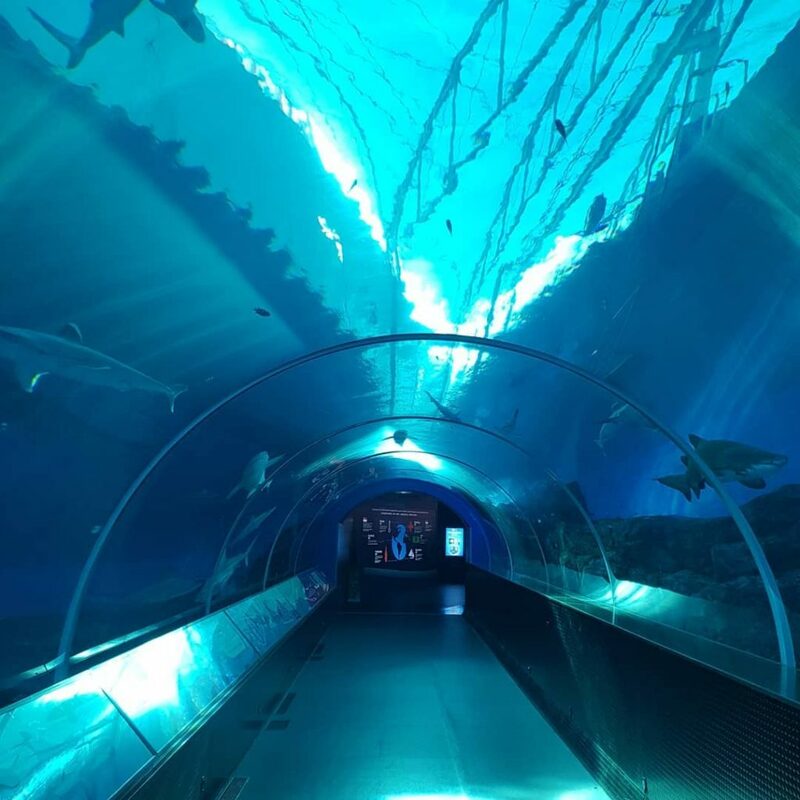 S.E.A Aquarium – From the beach, make your way to the Aquarium, for up-close encounters with fascinating creatures from the deep and for a trip under the sea. 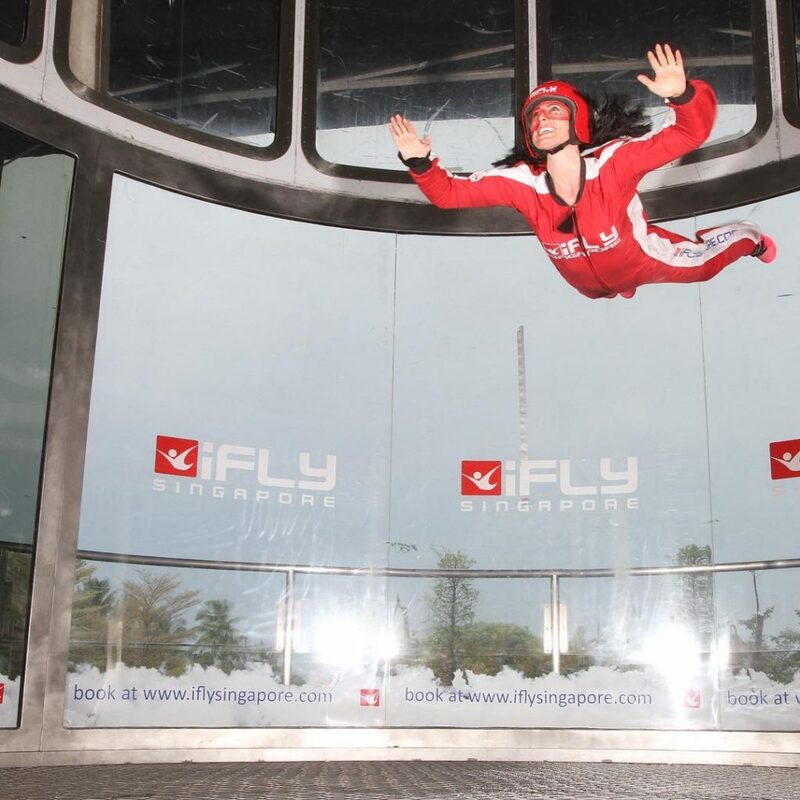 iFly Singapore – From the Aquarium head to iFly Singapore – world’s largest wind tunnel for indoor skydiving to live out your dreams of soaring like a superhero. 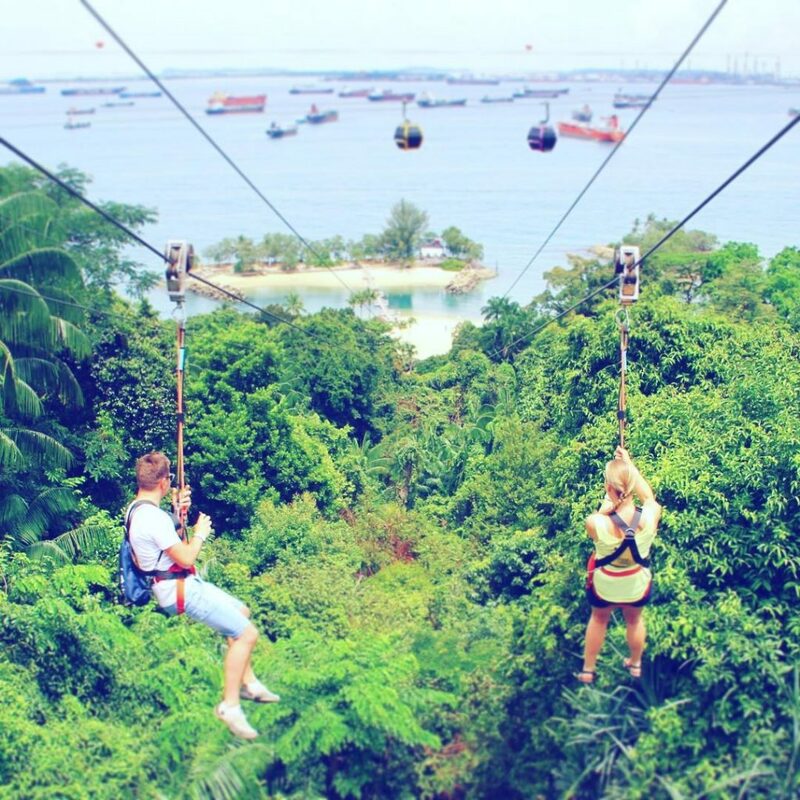 Mega Adventure Park – Finally stop by and brave new heights with MegaZip, Southeast Asia’s steepest zip wire and experience a whole new perspective of Sentosa’s lush jungles and white beaches from 450 metres in the air. After two days of heavy discovering Singapore, head back to your hotel for dinner and retire for some unperturbed beauty sleep. With so many interesting, adventurous and relaxing things to do, Singapore is encapsulating! You might want to book your Singapore travel with Pickyourtrail already! No? Check out the full and final ‘Day 3‘ itinerary and then plan your Singapore vacation this summer!